How many feet above sea level is your home? New governor DeSantis touts his forward-looking vision on water, the environment, and future planning. Florida is one of a minority of states in the country that has not established any renewable energy goals. Can't humans see the writing on the wall? Real estate in Florida: Given the forecasts, why are people still building new condominiums? Via Grist / The melting of the Thwaites glacier could lead to as much as 10 feet of sea level rise over the next century or so. If we’re unlucky, much of that could happen the lifetimes of people alive today, flooding every coastal city on Earth and potentially grinding civilization to a halt. Florida, one of the lowest lying and most vulnerable states in the United States, begins to seriously look at sea-level rise. "We need to stop making the old mistakes in local development that expose homes and businesses to risks that only become apparent when disaster strikes." To paraphrase the old saying, an ounce of preparation is worth a pound of cure." • Via Andy Revkin / ProPublica - Development and Disasters: "Expanded Bull's-Eyes"
What is the expanding bull's eye effect? “Targets” of geophysical hazards — i.e., humans and their possessions — are enlarging as populations grow and spread... it is how the population and built environment are distributed across the landscape that defines how the fundamental components of risk and vulnerability are realized in a disaster... the upward trend in disasters is predicated on increasing exposure and vulnerability of populations. "We now have a new tool — long-term satellite altimeter measurements — that we can use to help stakeholders who need information for specific locations," Nerem, a fellow of CU's Cooperative Institute for Research in Environmental Sciences and a professor of aerospace engineering, said in a statement. Four years ago, federal officials published a report that labeled the Tampa Bay area as one area in Florida particularly vulnerable to rising sea levels. The report, the Third National Climate Assessment, also warned of increases in harmful algae blooms off Florida's coast, worsening seasonal allergies for people already made miserable by springtime pollen and heavier rainstorms and flooding in low-lying areas. On Friday (Nov.23) federal officials released their Fourth National Climate Assessment, which over the course of 1,000 pages looks at how climate change is already disrupting life in the United States — with more hurricanes, wildfires, heat waves and other disasters — and what communities are doing to deal with it. Rising sea levels, particularly in Florida, mean greater damage from storm surges during hurricanes such as Hurricanes Michael and Irma. An insurance industry group has ranked the Tampa Bay region as the most vulnerable metropolitan area in the United States to storm surge, with $175 billion in potential losses. Florida's long history of building along the coastline puts much of its property at risk. While the report does not refer to Tampa Bay's vulnerability, it does point out that "Florida alone is estimated to have a 1-in-20 chance of having more than $346 billion (in 2011 dollars) in property value ... below average sea level by 2100." Rising sea levels can damage roads, homes, sewers and the power grid. For instance, the report notes that under one sea-level-rise scenario, the number of major power plant substations in Florida that would be exposed to flooding from a Category 3 storm "could more than double by 2050 and triple by 2070." Last year, the Tampa-St.Petersburg-Clearwater metro area’s economy ranked second in the state and 24th in the nation, with an output of $148.6 billion, according to an annual report for the U.S. Conference of Mayors. But the Tampa Bay area could lose $175 billion as a result of storm surge flooding from a major hurricane, according to Boston-based firm Karen Clark and Co. In 2015, the firm ranked the Tampa/St. Petersburg metropolitan area as the most vulnerable in the country to hurricane storm surge. That same year, the Tampa Bay Climate Science Advisory Panel estimated that sea levels in Tampa Bay could rise nearly two feet by 2100. South Florida: Retrofit or Retreat? "The drive on A1A from Fort Lauderdale to Miami is so thick with development that one is fortunate to catch an occasional glimpse of the ocean between the condos." Check out this online tool to see how sea-level rise will impact your flood risk. In 2015, local scientists predicted that sea levels in Tampa Bay will rise between six inches and more than two feet by the middle of the century. The City of Tampa was also ranked by a firm that creates models for the insurance industry as the most vulnerable metropolitan area in the United States to storm surge, with $175 billion in potential losses. Two years later, the Tampa Bay Regional Planning Council studied the economic impacts of sea level rise using Geographic Information Systems, property records and employment data. They found that year-round flooding could have as much as a $162 billion impact on the regional economy. It’s plain to see that it’s time for action. As sea levels rise, we can expect to see greater storm surge, more intense rain events and an increase in hurricane intensity. ... an effort is under way in our region to bring local governments together to develop a Tampa Bay Regional Resiliency Coalition. The program is $20 billion in the red even after debt forgiveness from Congress, which vows to fix these problems—some other time. The program has been renewed 41 times since 1998, 38 times with no changes, and six times in the past year. Congress once passed reforms to rationalize premiums that aren’t priced properly but quickly repealed them. End the US National Flood Insurance Program? Extend it? Reform it? Move it to real-world, risk-based rates? The Thwaites Glacier is often considered one of the most important when it comes to changes in sea level, but it has been little studied. According to a report by the Union of Concerned Scientists, nearly 40 percent of the state’s property tax base is expected to be "highly exposed" to such flooding within the next 30 years. "The 'living shoreline' is the best defense against sea-level rise." The US-Mexican border is 1,954 miles long. America’s “general” coastline is far longer: 12,479 miles. Measuring the shoreline using smaller-scale charts, and including features such as bays and offshore islands, brings the total to more than 88,000 miles, not including the Great Lakes. The shoreline of Florida alone is more than four times the length of the US-Mexican border. Coastal counties are home to nearly 40 percent of the US population. With the exception of Alaska, these counties are five times as densely populated as the rest of the nation. “If the nation’s coastal counties were an individual country, it would rank third in the world in gross domestic product, surpassed only by the United States and China,” according to the National Oceanic and Atmospheric Administration (NOAA) Office for Coastal Management. What Will Be Will Be? "Ice Apocalypse" or "Doomsday Glacier"? St. Petersburg College / Institute for Strategic Policy Solutions: Sea-Level Rise, What's Our Next Move? South Florida local governments, mindful that the region’s boomtown economy might damn well drown if the ocean rises (as climate scientists suggest) 10 inches over the next 15 years, have formed a regional compact to fight climate change. Climate Central catalogued the 25 American cities with the largest number of residents threatened by sea level rise and climate change. New York, of course, has the largest population situated in threatened areas — 245,000. But Florida cities, most of them in South Florida, utterly dominated the list. Let's take time to look carefully at "How extreme weather risk is creating a real estate insurance disaster"
... (A)s Harvey’s full significance comes into focus over the next weeks and months, flood insurance, one of the pillars of local rebuilding efforts, will be in the spotlight. Early estimates suggest the losses may hit $10 billion to $20 billion, making it one of the 10 costliest hurricanes in U.S. history. By September 30, Congress must reauthorize the National Flood Insurance Program (NFIP), a crucial government program that helps pay for and provide policies for millions of properties in at-risk areas across the country. The impact of Harvey on the NFIP is yet unknown, but is clearly expected to be sizable; in Harris County, Texas, the flood program holds more than 240,000 policies, representing more than $60 billion in coverage, according to AIR Worldwide. In other words, just as the nation begins to figure out how to pay for one of the costliest natural disasters in its history, the insurance program that functions as a backstop for hundreds of thousands of affected properties will be up for debate and renewal. Battered by recent disasters, hurricanes, and floods, the NFIP is currently $24.6 billion in debt to the U.S. Treasury. That means Harvey may well push the flood program up against its borrowing limit of $30 billion and require further action from Congress to reform the program. If it’s allowed to lapse, according to a spokesperson from the Federal Emergency Management Agency (FEMA), which oversees the NFIP, it won’t be allowed to sell or renew flood insurance policies, pay existing claims, or start any mapping or management activities to create accurate assessments of risk. At a time of increased political polarization — especially around the question of climate change and its relationship to the kind of inclement weather events that trigger billion-dollar payments from the NFIP — a chance to reconsider how we develop, build, and plan our communities — and make them more resilient — may be lost to more immediate financial and political needs. From 2011 to 2015, the sea level along the southeastern American coastline rose six times faster than the long-term rate of global increase. In an AGU research paper published online this week, University of Florida researchers calculated that from 2011 to 2015, the sea level along the American coastline south of Cape Hatteras rose six times faster than the long-term rate of global increase. The short tide gauge records revealed that sea level in southeast Florida, for example, rose at a rate of 3-4 mm/yr from 1996 to 2010. This observed rate was between the global mean sea level rise/SLR and 33% faster, and increased 6-fold to greater than >20 mm/yr between 2011 and 2015. A similar acceleration in sea level appeared in all tide gauge records we analyzed south of Cape Hatteras. • Within 20 years, by 2035, nearly 170 coastal US communities — roughly twice as many as today — will reach or exceed the threshold for chronic inundation, given moderate sea level rise. Seventy percent of these will be in Louisiana and Maryland, where land subsidence is contributing to rapid rates of sea level rise. More than half of these 170 communities are currently home to socioeconomically vulnerable neighborhoods. • Within 45 years, by 2060, more than 270 coastal US communities — including many that seldom or never experience tidal flooding today — will be chronically inundated, given moderate sea level rise. • By the end of the century, given moderate sea level rise, nearly 490 communities—including 40 percent of all East and Gulf Coast oceanfront communities — will be chronically inundated. • Given more rapid sea level rise, nearly 670 coastal US communities will face chronic inundation by the end of the century. This number includes nearly 60 percent of East and Gulf Coast oceanfront communities as well as a small but growing number of West Coast communities. • Given that same rapid rate of sea level rise, more than 50 heavily populated areas—including Oakland, California; Miami and St. Petersburg, Florida; and four of the five boroughs of New York City—will face chronic inundation by the end of the century. • By 2100, given this same rapid rate of sea level rise, chronic flooding will engulf at least half the total land area of nearly 40 percent of affected communities, including Cambridge, Massachusetts; Alameda, California; and Miami Beach and Fort Lauderdale, Florida. • Many communities that never reach the 10 percent threshold of chronic inundation this century are nevertheless expected to see chronic flooding of important areas. • There is still time to prevent such widespread chronic inundation. Curtailing future warming and, thereby, the acceleration of sea level rise could benefit communities in each coastal region. By reducing global warming emissions, we may slow the pace of sea level rise, which could spare hundreds of communities chronic inundation. • For hundreds of other communities, chronic inundation is avoidable only through significant adaptation measures, including coastal retreat. Measures to accommodate or keep water out of communities may forestall the inundation projected by this analysis, but often at great cost and for a limited time. Hundreds of communities along the coasts, from Maine to Washington State will be forced to make difficult choices about whether and how much to invest in flooded areas versus when to retreat from them. Many such communities are home to low income residents who have few of the resources they would need in order to move or to adapt. Large-scale reductions in global warming emissions, similar to those planned under the international climate deal known as the Paris Agreement, may slow the rate at which sea level rise is accelerating and save many communities from chronic inundation. For hundreds of other cities and towns, however, increased flooding is inevitable, and adaptation is now essential. By making sound decisions soon, communities can prepare for chronic inundation in the time they have and avoid serious losses — not only of homes, schools, businesses, and other infrastructure, but also of regional history, sense of place, local culture, and people’s ways of life. Today, high tide flooding is shifting from a nuisance to a costly, disruptive problem in locations like Miami Beach, pictured here in 2015. Though the flooding has not reached our threshold of chronic inundation, major investments are underway in Miami Beach to address it nonetheless. Around the US coast, as this flooding approaches chronic levels — regularly preventing people from leaving their houses without wading through saltwater, driving their cars without incurring saltwater damage, getting safely to and from school, work, appointments and errands — people will be forced to ask how long they can live with it. Currently, the US federal flood insurance program (NFIP) takes in about $3.5 billion in revenue each year, and covers about $1 trillion in risk. Both political parties say they support more voluntary buyouts of homes that repeatedly flood. Under that approach, the federal government uses money that comes in through flood insurance policies to purchase high-risk homes, then demolishes them. Expanding those buyouts could shrink neighborhoods along the Atlantic and Gulf Coasts, in such places as New Jersey, Virginia, Florida and Louisiana. Not far from Mar-a-Lago, the U.S. president elect's Florida estate, the tides are rising higher in Miami. Via the Miami Herald, here's an octopus in a parking garage as a sign of things to come from rising South Florida seas. The Florida peninsula, with much of it close to sea level, and underlying karst/limestone landscape, sea-level rise will deliver salt-water intrusion into the aquifer. As evidenced with coastal "Ghost Forests", salt water movement into fresh water coastal zones and then inland into groundwater will be disruptive and act to foreshadow devastating environmental results. A steady increase in sea levels is pushing saltwater into U.S. wetlands, killing trees from Florida to as far north as New Jersey. But with sea level projected to rise by as much as six feet this century, the destruction of coastal forests is expected to become a worsening problem worldwide. On a recent afternoon, University of Florida watershed ecologist David Kaplan and Ph.D. candidate Katie Glodzik hiked through the Withlacoochee Gulf Preserve, on the Big Bend coast of northwestern Florida. Not long ago, red cedar, live oaks, and cabbage palms grew in profusion on the raised “hammock island” forests set amid the preserve’s wetlands. But as the researchers walked through thigh-high marsh grass, the barren trunks of dead cedars were silhouetted against passing clouds. Dead snag cabbage palms stood like toothpicks snapped at the top. Other trees and shrubs, such as wax myrtle, had long been replaced by more salt-tolerant black needlerush marsh grass. Saltwater, flowing into this swampy, freshwater-dependent ecosystem as a result of rising sea levels, is turning these stands of hardwoods into “ghost forests” of dead and dying trees. This story was originally published in Spanish at CityLab Latino. “Donald Trump lives in a parallel universe where the facts established by the scientific community to him don’t exist,” said Anthony Leiserowitz, director of the Climate Change Communication program at Yale University. Alarmed by the threat to Florida’s giant tourism industry, Miami business leaders have championed a public works overhaul. “There’s a point beyond which habitability, certainly at the scale and density that southeast Florida is currently developed to, would not be feasible,” he said. “Whether that point is 3 feet of sea-level rise, or 6 feet of sea-level rise, certainly at 10 feet of sea-level rise, there is a point of no return. Last fall, an exceptionally high tide flooded Miami Beach’s streets and forced tourists to slosh their way to their hotels. As global warming accelerates the rise of the sea level, the state of Florida and some local governments want to fight for their own survival, but Harold Wanless and Philip Stoddard are urging a reality check: Global warming, they say, will drown South Florida. It can’t be reversed. Discover Magazine: "How many cities will our oceans swallow?" --*Giving 'Underwater Mortgages' New Meaning"
... for the first time, researchers used a series of coupled models to produce a more realistic look at what will happen to Antarctica in the coming decades and centuries. There has been a lot of uncertainty about how quickly the ice shelves could collapse, and even a decade ago the IPCC was saying that there was too much uncertainty to forecast it reliably. Since then, the science has improved, and the news has gotten worse. Florida Is Sinking: Where Is Marco Rubio?" "How the GOP is killing Florida"
NASA: "What's up with sea-level rise?" "Climate change could leave the Florida Keys and large parts of the south of the state underwater"
Billionaires Charles and David Koch have helped to fuel conservative activism in Florida, by spending millions over the years to establish elaborate political operations in the state. As a result, Florida has become something of a testing ground for anti-government campaigning from the Kochs’ primary group, 'Americans for Prosperity'. 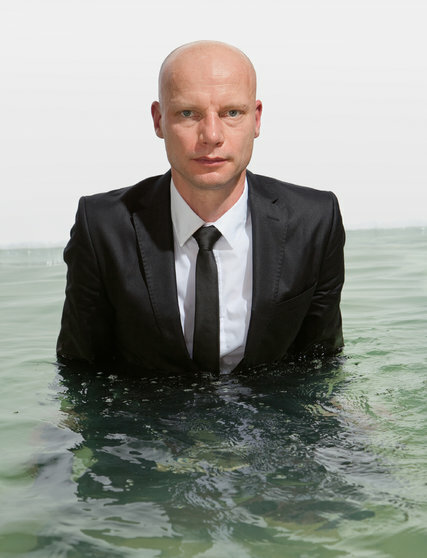 “If we look around the world and take into account sea level rise and the increase of water related disasters, among the places in the world that have the most assets and investments at risk, Miami is leading that list,” Henry Ovink tells New Times. “Miami will no longer be a land city, but a city in the sea.” Last year, a New York Times Magazine article about Ovink and Dutch water management efforts showed just how behind the U.S. is in its thinking around water. Re: Florida topography: Karst topography is the geological name given to an area of limestone bedrock featuring caves, sinkholes, underground streams and natural springs (Florida has one of the highest concentrations of springs on Earth). In laymen terms, karst topography is anywhere the lower levels of the soil horizon has been dissolved by the physical or chemical weathering of the bedrock. These environments are comprised of carbonate rocks, such as dolomite and limestone, or having high amounts of evaporites, for example, salt and gypsum, as these materials tend to be highly soluble in water. Having these conditions within humid climate like Florida invites faster weathering. Another erosion accelerator is groundwater mixed with vegetation creates a weak acid that dissolves the limestone. (think baking soda mixing with vinegar) Over time, cracks become caves, and when caves collapse they form exposed openings known as karst windows. What is the connection between the world's largest phosphate production industry, sea-level rise and Florida's underground waterways? Where carbonate rocks are exposed at land surface, solution features create karst topography, characterized by little surface drainage as well as by sinkholes, blind valleys, sinking streams, and mogotes. Because water enters the carbonate rocks rapidly through sinkholes and other large openings, any contaminants in the water can rapidly enter and spread through the aquifers. Banned in Florida: Government Frowns on Use of the Term -- "Climate Change"
"Climate Change, the Fate of Antarctica and Global Sea-level Rise"
New evidence suggesting a behemoth "sleeping giant" ice sheet is more sensitive to climate change than ever thought... the ice sheet, which forms most of Antarctica, would contribute an equivalent of around 50 metres of sea level rise - the vast majority of the total 58 metres that could come from the frozen continent. The part of the ice sheet that rests on bedrock below sea level is most vulnerable and holds an equivalent of 19 metres of sea level rise. In the face of climate change, which has brought warmer ocean water to the edges of Antarctica, the vast ice sheet has been long regarded by scientists to be much more stable when compared with the smaller, 25 million square kilometre West Antarctic Ice Sheet, which satellite measurements estimated was losing more than 150 cubic kilometres of ice each year. "In general, all of the evidence we have from the ice, from the atmosphere, and from the top to the bottom of oceans, is that the Southern Ocean is having an impact on Antarctica and an impact on our climate. "The evidence is just becoming more and more clear that change is underway - and work by my colleagues all around the world is showing these changes are a result of human activity. It's not just a natural cycle we are seeing." The new findings link in with what is another big part of Dr Rintoul's work - the role of oceans in climate change. "One of the things that many people don't realise is that, in a sense, global warming is ocean warming - more than 93 per cent of the extra heat that's been stored by the planet over the last 50 years is found in the oceans. "So that means if we want to understand how the climate is evolving and how the climate is changing, we need to be tracking and understanding what's happening in the oceans..."
Glaciologist Eric Rignot of the UC-Irvine and NASA’s JPL and lead author of a West Antarctic study, stated that East Antarctica’s ice sheet remains a wildcard. "With identification of risks inherent in the forces of nature, government acquires responsibilities to address those risks..."
This page was last modified on 4 April 2019, at 00:50. This page has been accessed 46,978 times.